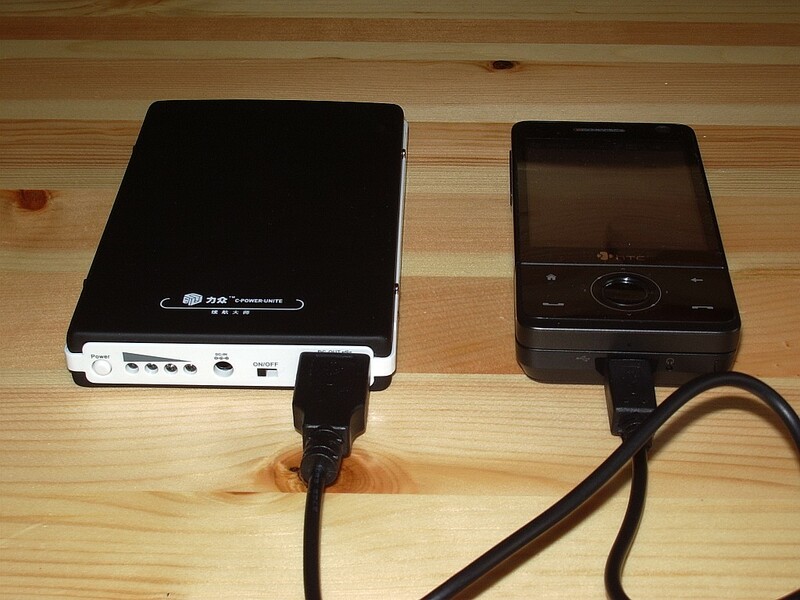 The object on the left of the picture is a 9600mAh external back-up battery for MP3 players, mobile phones and other 5V devices. I bought it on eBay (where else?) for $55.99 including shipping with the intention of using it to power my HTC Touch Pro smartphone so that it could run all day using GPS and internet connected apps like the APRS client APRSISCE. Previously I hadn't been able to make much use of such applications when out and about on foot because if I was away from a power supply for more than a couple of hours the end result was a dead battery and a phone that could not be used to make phone calls. The product arrived after a couple of weeks wait rather poorly packed in a jiffy bag containing the battery back-up unit, a 5V USB charger with the usual two-prong fold-out mains plug, and a USB cable with coiled lead and interchangeable power connectors. There was no box, nor any instructions so I had to figure things out for myself. 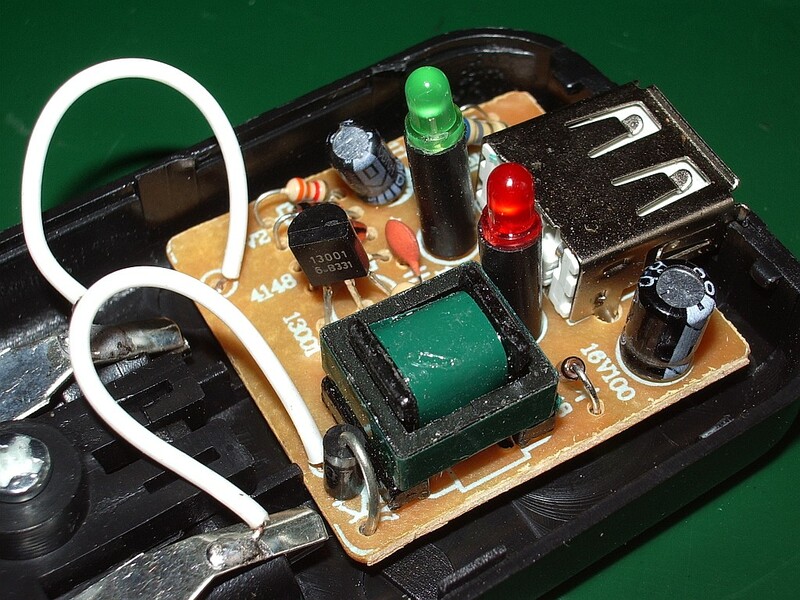 Clearly the DC IN port was meant for the charger, the USB socket marked DC OUT was the output and the slide switch next to it turned the output on and off. The four LEDs showed the battery state for a few seconds after the POWER button to the left of it was pressed, and the charging state whilst charging. There was no cable for charging, so I presumed I had to use the USB lead supplied for output and one of the interchangeable connectors. One of them did fit, though not very well, poorly enough in fact that it pulled out of the socket if there was the slightest tension on the coiled cable. I started charging the power pack. Two lights lit up on the charger and the charge status showed two of the four LEDs lit. Next time I looked at it all the LEDs were off. Surely the batteries could not have charged so quickly? Eventually I measured the output from the charger and found it was about 0.25V. Clearly the charger had failed. I sent an email to the eBay seller who was anxious enough about the possibility of receiving negative feedback to immediately promise to send a replacement. Meanwhile I found that the charger which came with my HTC phone had a USB output so I charged the battery pack with that. With hindsight that was rather foolhardy and I ought to have attempted to measure the current drawn first, but I got away with it. Though rated at 1.0 Amp output the HTC charger got fairly warm, but eventually the charge level reached full and the charger got cold again so I assume that it finished charging and the pack was fully charged. The charger that came with the battery pack is labelled as an "MP3 Power Supply" and the output is rated at: DC 200mA +/- 30mA. Even the 1500mAh battery in the little Baofeng radio takes more than 400mA on charge. I managed to find a cable that would enable me to charge the battery pack from my workbench variable metered power supply and even when the battery pack is only half discharged it is drawing a current of almost 800mA. So I think the charger supplied simply blew up! I'm just hoping the eBay seller will provide a more adequate charger as a replacement. Sure, I can use my existing HTC phone charger. It may even be more convenient than having separate chargers for the two devices. But it would be nice to receive what one paid for. By the way, if you ever wondered what is inside those Chinese wall-wart power supplies, how come they are so light, here are some pictures of the innards of the one that failed. The answer, it seems, is not much. Call me old fashioned, but I'm just a bit apprehensive about having just a handful of components between my equipment and the 230V mains! It's a pity that this problem has occurred because I would have liked to have been able to recommend this battery pack to other users of APRSISCE on Windows Mobile. My initial test on the workbench suggest that this battery pack is more than capable of powering the phone with GPS and mobile data connection active during a day's outing. The battery pack itself seems well made and I would guess that it is probably supplied by its Chinese manufacturer in a nice box with instructions and an adequately rated charger. The trouble in this case would seem to be caused by a cheapskate eBay seller. 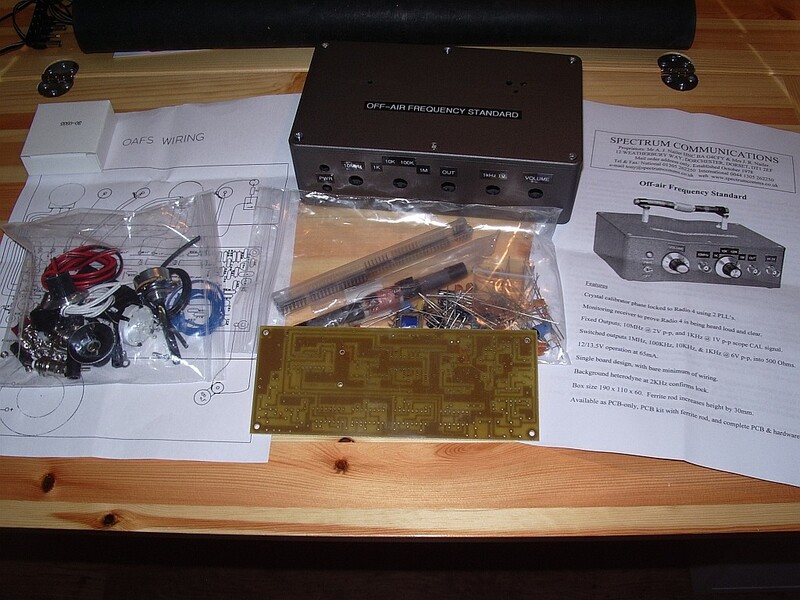 A chance to see the new Elecraft KX3 demonstrated by N6KR at the QRP ARCI "Four Days In May" convention in Dayton 2011. Jeff Davis KE9V was among the first to post pictures from Dayton of Elecraft's latest announcement, a portable all mode HF to 50MHz transceiver - almost literally "a K3 in your pocket." ...and a K3-like front panel, including the same LCD. A report produced for the British intelligence gathering organization GCHQ claims that noise from power line networking devices is causing a detectable increase in interference at its monitoring stations and could adversely affect its operations. The report, which can be found on the website Ban PLT, was originally released by GCHQ's Director of Engineering and Technology but has since been disowned by GCHQ which now claims it contained "inaccuracies." The government organization also forced the online tech news journal The Register, which published an article containing details of the report, to remove the author's identity from the article using measures designed, ironically, to suppress information that could be considered a threat to national security. So much for freedom of speech. Ofcom meanwhile continues to deny that PLT devices cause a problem, stating that there have been "only" 272 complaints of interference (all from radio amateurs) and that of 233 cases referred to BT all but one have been resolved so there is nothing to worry about. Has pressure been brought from on high to force GCHQ to disown the report which is embarrassing to BT which has a couple of million of the Comtrend PLT devices installed nationwide? It is blatantly obvious that Ofcom couldn't give a damn about the possible effects on a few hobbyists who don't even pay a license for the spectrum they use. But a threat to the country's ability to monitor the short waves to gather intelligence about potential security threats is something they would have had to take seriously. 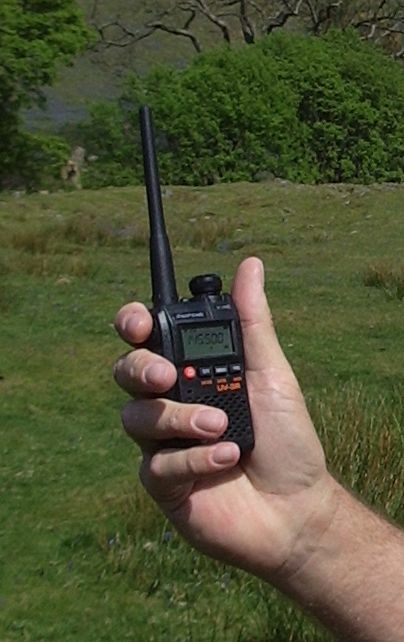 Many people have been buying the cheap little dual band Baofeng UV-3R handheld radios from China. Some people have been pulling them apart, such as Fabrice, F4AVI, who has discovered that it is really quite a state of the art radio. 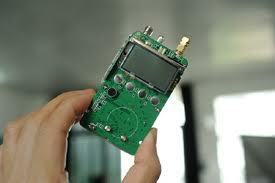 Fabrice found that the VHF/UHF transceiver functionality is provided by an RDA Microelectronics RDA1846 chip. This is a single chip fully DSP based transceiver capable of covering 134-174, 200-250 and 400-500MHz and supports CTCSS, CDCSS and DTMF with an 8dBm on-board PA. The Band 2 broadcast FM receiver uses an RDA5802E chip, also from RDA Microelectronics, which is a single chip broadcast FM stereo tuner. 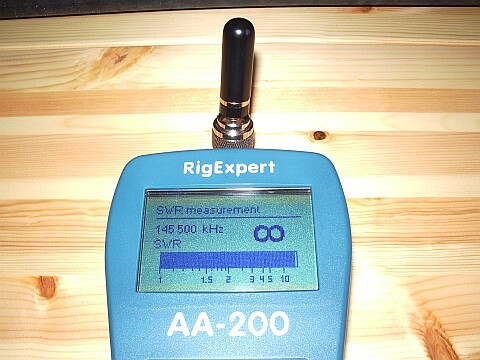 The UV-3R doesn't cover the US 220MHz band, of course, nor is the FM broadcast audio in stereo. But future models might well do. 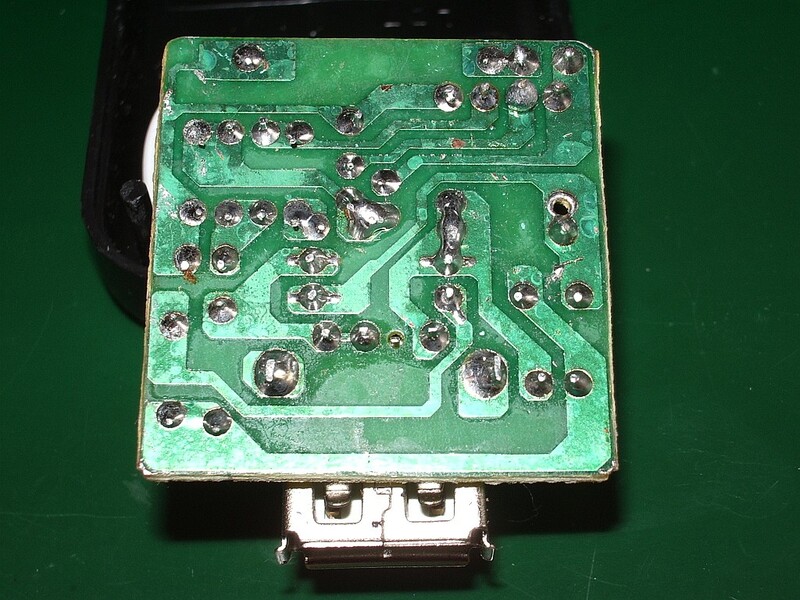 Some buyers of the Boafeng have experienced minor issues with their radios that suggest the quality control is not all it could be. Still, it is interesting to see innovative designs coming out of China. One can only wonder what next? As you may have noticed, I have been experimenting with making software instruction videos. APRSISCE/32 has been the beneficiary of my attempts, but my real intention has been to make videos that would bring traffic back to the website that for the last few years has provided us with a living. For the core of the videos - and for APRSISCE/32 videos - the screen capture software I have been using (BB Flashback Express) is good enough. 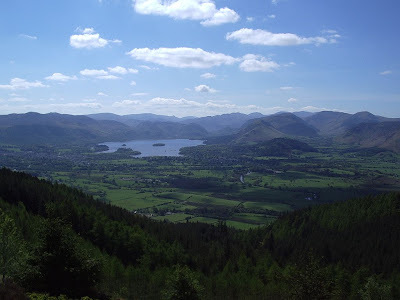 But I wanted to make the videos more professional by including shots of me talking to camera - which meant that I needed to buy a camcorder and get to grips with video editing software. I ordered by post an AgfaPhoto camcorder which captured good quality video, though the sound level was low. I struggled with the supplied Arcsoft Total Media Extreme software. Eventually, and quite by accident, I found that my work laptop which is running 64-bit Windows 7 had on it a program called Windows Live Movie Maker. This is a brilliantly designed piece of software and easy enough even for me to use. Unfortunately I found that the audio level on the video made with the camcorder was much lower than that recorded by the screen capture software. I tried reducing the level in BB Flashback to match that of the clips filmed using the camcorder, but once the video was uploaded to YouTube the audio was much quieter than other videos and even with the PC speakers turned up to the max you could hardly hear it. Olga made a test clip using the video feature of her digital camera and the audio on that was much louder. So yesterday we decided the camcorder must have a fault and emailed to the supplier saying we wanted to return it. Not wanting to waste time we then went to Argos and bought a different camcorder, this time one from Hitachi, which had received good reviews. You can imagine the sinking feeling when, after waiting for the battery to charge up, we tried it only to find that the recorded audio level was no louder than on the Agfa. I felt out of my depth, clueless with no idea what to do. Other people managed to upload videos to YouTube with speech you could hear - why was I finding it so difficult? I asked in a couple of familiar ham radio forums if anyone had experience of this and could offer some advice. One person explained how to change the audio level in Windows Live Movie Maker, but as I had already found, the volume slider was at maximum in the video clips and the only direction I could adjust the audio level was down. Few people seemed to have experience of using camcorders, most using smartphones or other pocket devices to make their YouTube submissions, which would not give the HD quality I was hoping for. Olga, trying to be helpful because I was getting stressed, found what she thought was a Hitachi support forum. Twelve Hitachi technicians were online waiting to answer my questions, the site claimed. I wrote my question and immediately received the response that this had been passed to someone who was an expert in this particular field and I should pay £12 for an answer by email or £18 for a consultation by phone. Ready to try anything at this point, I handed over my credit card details, only to find that this was not Hitachi support at all, but some generic advice service claiming to answer all kinds of questions. More than 12 hours later we have not received any answer for our £12. Eventually I stumbled upon a workaround. The Hitachi camcorder creates AVI files (unlike the Agfa whose video files are MOV.) 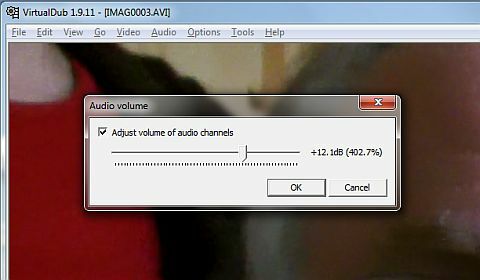 Google found several answers to how to increase the audio in an AVI file, which suggests this is a common problem. Many of the answers were couched in gobbledygook I didn't understand, using terms like "demux" that mean nothing to me. But eventually I found a "how to" procedure I could follow. It involved using a free utility called VirtualDub to rewrite the AVI file after processing and increasing the level of the audio track by 12dB. Even that didn't work until I had visited a dodgy looking site and downloaded an iffy looking unofficial codec for the H.264 video encoding used by the Hitachi. So I have a solution to the problem, though it's a bit of a cumbersome one involving processing every video clip before I can start to assemble them in Movie Maker. To arrive at this point I have ended up buying two camcorders the first of which is probably not faulty as we first thought (it being unlikely they both are.) and been suckered into paying £12 to an internet scam site. This is not to mention the hours spent in front of the computer feeling frustrated and helpless on what was actually my birthday. Certainly not a birthday I particularly want to remember. I think I'm getting too old for this tech stuff. I wish I could retire somewhere and keep chickens or something that did not require the use of computers at all. You would think that making home videos was something lots of people would want to do. Why is it so difficult? I have just uploaded a new video to G4ILO's YouTube channel showing how to set up the APRSISCE/32 software to connect with a GPS and a TNC or radio. In the video I actually set up a connection between the software and a Kenwood TH-D72 and you can see and hear packets being received by the radio. I also cover how to set up a connection with a GPS and how to use the AGW Packet Engine which allows you to use a soundcard as a packet modem. It's the same on 433MHz as well. In fact I couldn't find any frequency at which this so-called antenna is resonant! I'm finally eligible to claim one of my own WOTA certificates! 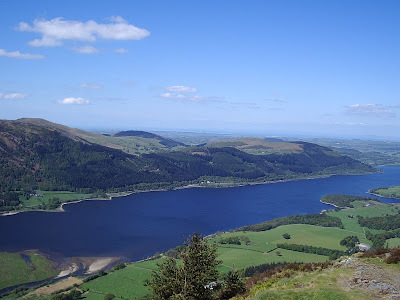 This morning I made a contact with Phil G4OBK/P on Souther Fell and thereby completed working all of Wainwright's Northern Fells. 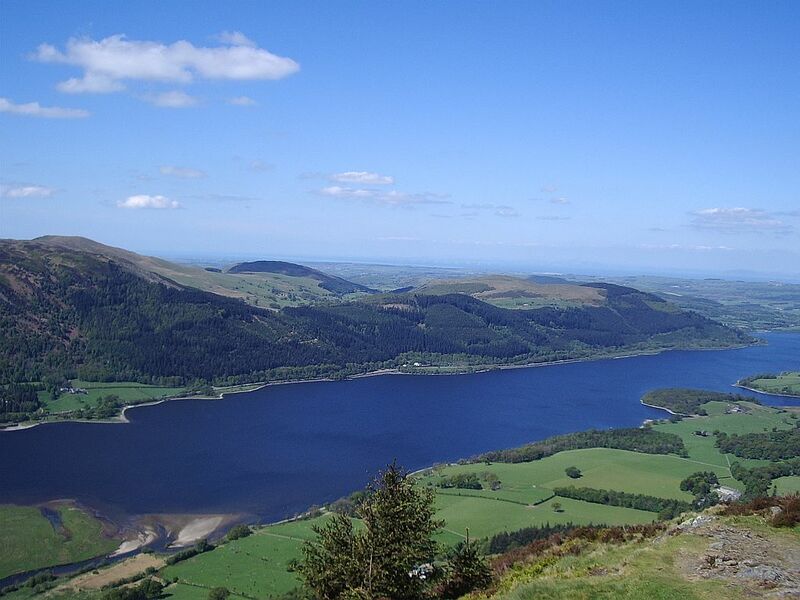 Phil had preannounced his intention to visit Souther Fell on the WOTA website, which was the last one I needed. This fell is blocked by higher mountains so I can't work it from home - I would have to get to a good vantage point. I could have driven to a suitable spot, parked and waited for Phil to appear but I decided to make the contact from a summit. The weather forecast was for rain, however, not the kind of conditions I normally choose for an activation. Out of the rucksack came the antenna mount (so I could use the waterproof rucksack cover) and the APRS radios (too expensive to risk getting wet.) The rig for the day was the Motorola GP300 with the base loaded Nagoya half wave telescopic. The weather lived up to the forecast. 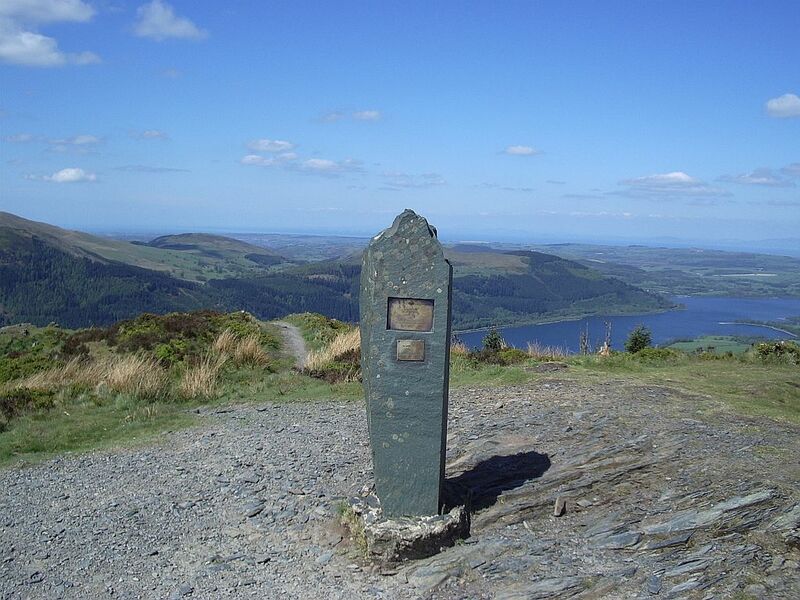 By the time I reached the summit my boots had taken on water from the numerous puddles and long wet grass I had to traverse to reach it. My Goretex waterproof was letting in the rain, too. Only the inside of my rucksack remained dry. The views from this summit can be spectacular, but today was no day for a camera. So no photos. Instead, I'll link to a page that has some pictures of what I could have seen on a better day. I had to make several calls before I could raise anyone. Finally Malcolm M0XAT heard me. 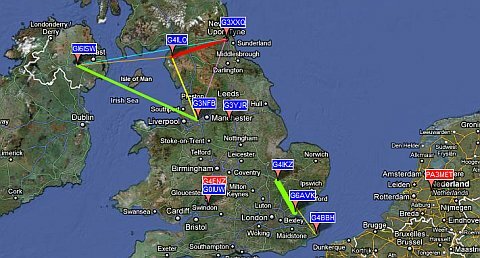 Next the Penrith duo, G0TDM and G4WHA, and then Colin G4UXH and Sue G1OHH from "down south" who were both at good signal strength. I then had a bit of a wait before Phil arrived on summit and began to call. I passed the time trying to wring the water out of my socks. Mission accomplished I headed back down to the car, home and a hot bath. The radio and antenna are now in the hot water tank cupboard drying out. My boots will probably take a bit longer. I have been experimenting with ways to make software tutorial videos for YouTube (for business reasons). For a test, I thought I would make a video showing how to download, install and initially configure Lynn KJ4ERJ's APRS client software APRSISCE/32. I don't think anyone would give me a job as a TV presenter but I don't think it is too bad for a first attempt, working without a script off the top of my head. If you think it would be useful to encourage people to try APRS or Lynn's program, please feel free to share the video. I used the free BB Flashback Express software to create the video. I did try the open source CamStudio but it wouldn't recognize my PC's webcam and generally felt a bit amateurish compared to the BB software. I may consider forking out for the full version of BB Flashback so I'd appreciate any comments from folks with experience of making software videos. 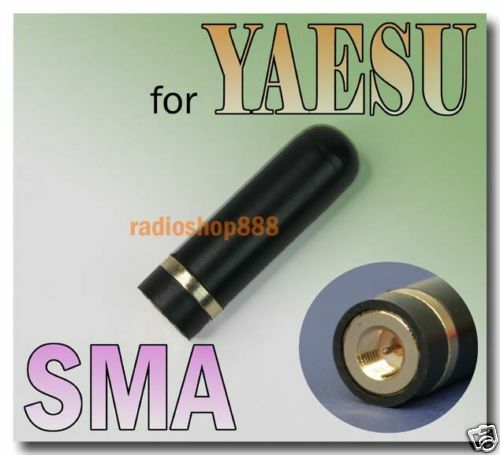 Only a few days after I had ordered the little Jin Ma Tong JMT-227 145MHz transceiver from China, news began to appear of a new miniature Chinese transceiver from Vero Telecom called the UV-3R which was a dual band (136-174 and 400-470MHz) transceiver. Eventually these began to appear from eBay sellers under the Chinese brand name Baofeng. The price was an astonishing £25 plus postage from Hong Kong. I ordered one from the seller hk360radio and it arrived in just over a week. 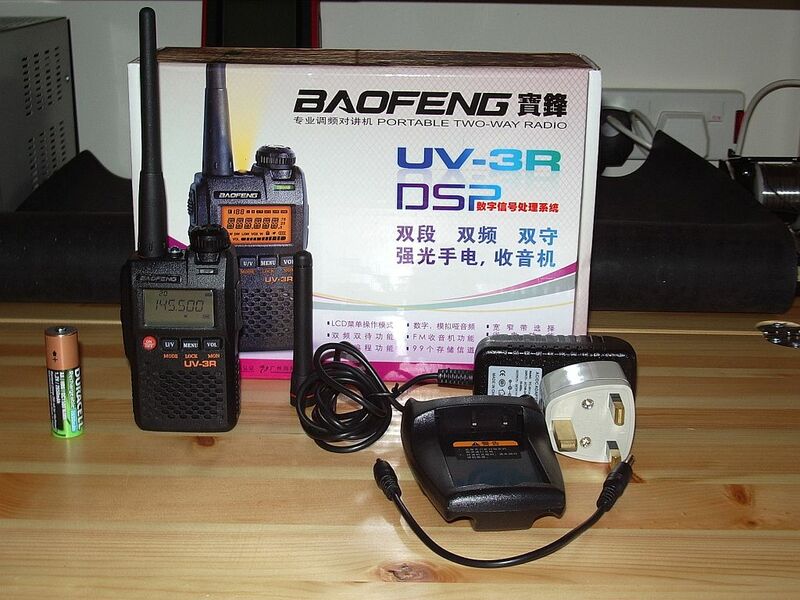 The Baofeng UV-3R comes in a colourfully printed box. Together with the radio the box contains the battery (Li-ion 3.7V 1500mAH), a charger with two-pin socket and adapter for UK mains sockets, two antennas (one for VHF and one for UHF), an earpiece/microphone similar to a mobile phone hands-free kit and a manual written completely in mostly pretty good English. There is also a blue carrying strap carrying the seller's name which is so cheap and nasty it is unlikely anyone would use it. Not mentioned in the manual's list of included accessories but also supplied was a cradle that can hold the radio while charging the battery externally. Why you should wish to do this when you can charge the battery installed in the radio I have no idea. There are no charging contacts on the radio, you have to charge it by inserting the small barrel connector into the socket in the side or by taking the battery out. There is also a short cable with one of these barrel connectors on each end, the purpose of which no-one figured out yet. The UV-3R makes the JMT-227 look a quality product. This is the first new electronic product I've had that didn't come with a peel-off protective film over the display. The plastic casing is extremely thin and the plastic belt clip that can optionally be attached looks as if it would easily break. To be fair, the flimsiness of the Baofeng may not be due to cheapness but to save weight. The radio is extremely small and very light, just 125 grams (5 oz) with battery inserted and antenna attached. The provision of two separate antennas for VHF and UHF may be a cost saving measure or it may be for efficiency reasons (a single band antenna is usually more efficient.) However it is not convenient for a user who wishes to make regular use of both bands. The antenna connector is an SMA female, as used by all the Japanese ham radio manufacturers. 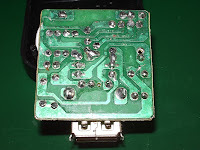 Frequent changing of the antenna will result in wear of the connector and ultimately a poor contact as the centre pin of the antenna rotates in the socket. Some eBay sellers are now supplying this radio with a single, dual-band antenna. This is something to look out for when buying. I had originally intended fitting an SMA to BNC adapter to the Baofeng as I have with all my other handheld radios but the UV-3R is so small and light that it seems inappropriate. I doubt that the radio is ruggedly enough constructed to take the stress of using one of the larger BNC antennas in any case. But this radio is evolving rapidly. The manual that came with mine describes 12 different menu settings but the radio actually has 18. Every setting you would want to change can now be set through the keypad. The settings are also stored in the memories - even the selected power level, so that I can have the radio use low power whenever I use it to communicate with my Echolink node. Perfect! 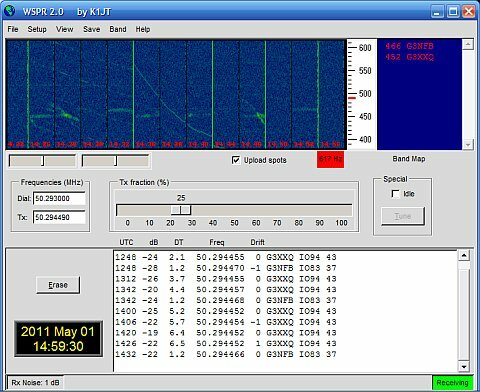 The one thing it does not seem to be possible to do without the software is to program cross-band splits, such as listen on UHF and transmit on VHF. This could be useful for working FM satellites. But I am not very bothered about this. All the usual RX and TX tones are supported for repeater access. A 1750Hz tone burst is generated by pressing PTT + VOL. The radio also receives Band 2 FM. The quality is not very good, but on the plus side FM reception is interrupted if a signal is received on the currently selected amateur frequency. The sensitivity is also excellent. The box and some advertisements claim the UV-3R uses DSP. As no schematic is available I have no idea. All I can say is that the received audio is very clear and pleasant and that the signal to noise ratio receiving a distant repeater on the UV-3R with its short VHF antenna was better than on the Kenwood TH-D72 with its dual band antenna standing in the same place. Newer versions of the UV-3R including this one now have an S-meter on receive, though it works in coarse steps. I also checked the strong signal handling performance of the receiver the same way I did recently with my other hand-held transceivers. It was on a par with the VX-8GR and the JMT-227, at the poor end of the spectrum. The transmitted audio is very good, if slightly lower in level than some of the ham rigs. One local said my audio sounded "just like my normal audio." 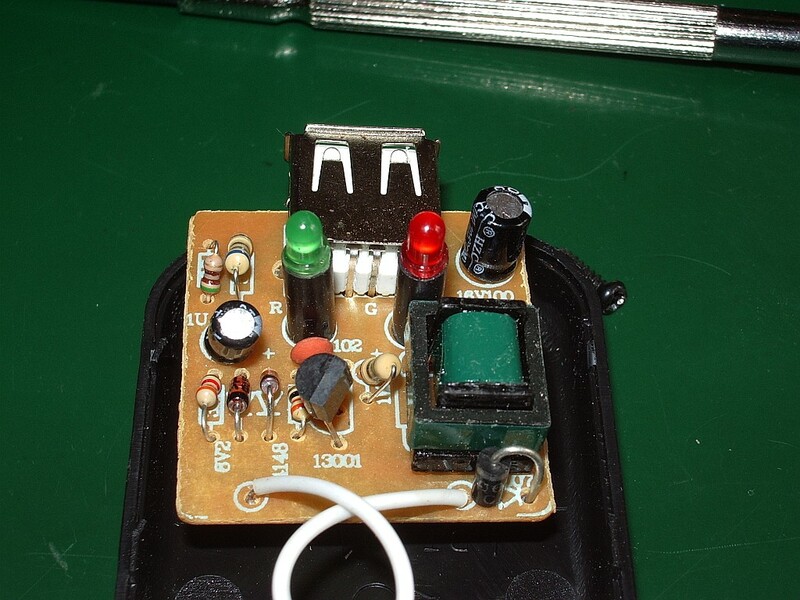 The LED on the front of the radio is supposed to glow red on transmit and green when a signal is received. Mine does not glow red, although the S-meter goes full scale to indicate power out. This appears to be a fault, but not one worth sending the radio back to Hong Kong to fix. However, this perhaps tells us something about the level of quality control you can expect for this price. The earpiece/hands-free mic supplied with the radio is not useful. I had some trouble with the audio but the main problem is that after you press PTT the radio locks in transmit. This appears to be due to RF feedback into the earpiece/mic cable as it doesn't happen on the low power setting. Using the supplied VHF antenna I can access from indoors a repeater 50 miles away. Not bad for such a tiny radio running 2 - 3 watts. Several people who have bought the UV-3R have commented favourably on the performance of the supplied single-band antennas. I tested the VHF antenna and found an extremely sharp response curve with a perfect 1:1 SWR at about 143.5MHz. At 145MHz the SWR was 1.5:1. The antenna has a high Q which no doubt accounts for its surprisingly good performance for its size. It's a pity the resonant point isn't exactly on 145MHz but that would be difficult to achieve with a mass produced antenna. 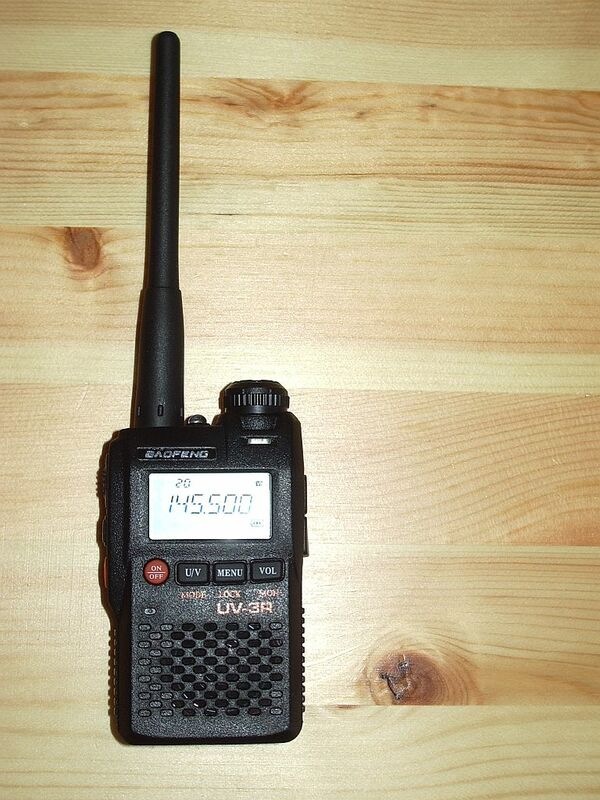 It isn't perfect, but all in all I am pleased with the tiny little Baofeng UV-3R - for the price. However there are indications that where quality is concerned you are getting what you pay for. If I was a UK dealer thinking of importing a batch to sell I'd think twice. I think fussy British consumers would send quite a few back because of niggling faults like the non-working TX indicator or the problem with the headset/mic. But if you don't mind taking a bit of a gamble on buying a radio from Hong Kong then the UV-3R would be a good bet for £25.